This is just one piece of evidence that circumcision had been practiced in Coptia in the thirteenth century. As we move on to subsequent centuries more evidence emerge that circumcision became widely followed by Copts. We have this not just from European travellers to Egypt but also from the Copt, Josephus Abudacnus (Yusuf ibn Abu Dhaqn), who wrote in Latin while in Europe in the early 17th century his Historia Jacobitarum Seu Coptorum. On the chapter dealing with Coptic baptism, he touched on circumcision: “Circumcision is diligently observed, and that on the eighth day after birth, and this not only in the principal cities where there is a great concourse of people, but also in villages, and in the country, with the greatest rigour.” The strength of the circumcision tradition within Coptia has even suggested to him that bizarre and erroneous opinion that the Copts (also called Jacobites) had descended “of the ancient Patriarch Jacob, the son of Isaac, the son of Abraham.” To this day, circumcision is practiced within Coptic societies in Egypt and Sudan, as within Muslims, and clearly regarded as traditional. The evidence suggests that the Copts did not practice circumcision until sometime after the late 9th century. The truth is that circumcision is not original but foreign to the Copts – it was a Muslim tradition. Returning to de Vitry, one finds that the evidence that circumcision was a problem in Coptia of the 13th century is not in dispute. What can, however, be matters of debate are the time the practice began within Coptic society, the extent to which it was spread then, the degree to which it was accepted by Copts, and whether it was performed initially on both sexes or on boys only. It is suggested by de Vitry that the Copts started practicing circumcision “Ever since the Enemy sowed discord in them, and blinded for a long time by a lamentable and miserable error,” by which he means since the Copts rejected the theology of Chalcedon in 451 AD, and separated from both Rome and Constantinople about Christology. But, by adding that the Copts circumcised their children “in the manner of the Saracens (Muslims)”, one is driven to think that he actually mean that the practice began sometime after the Arab occupation of Egypt in 642 AD. If that is what he really meant, he does not pin it down to any particular period within the five or six centuries that had intervened between the Arab Conquest in the seventh century and the thirteenth century in which he made his viewpoint. The story of Bishop John clearly shows us that the Copts, unlike the Abyssinians, did not know circumcision in the ninth century. Furthermore, they did not accept circumcision on theological grounds. There is nothing in the story to suggest that Bishop John’s case (not being circumcised) was singular. A few authors have stipulated that circumcision has always been practiced by the Egyptians; that it was Pharaonic tradition; that it continued throughout the Roman-Greek period; that the Egyptians even after they became Christian nation continued to circumcise their children. Otto F. A. Meinardus, in his Christian Egypt, Faith and Life, certainly gives that impression, and that the Copts inherited circumcision from their ancient forefathers. Whatever the case was before the Christianisation of Egypt, and even then the evidence for that is disputable at several points, Meinardus does not present us with any proof that the Copts, after their conversion to Christianity, or in the first centuries after the Arab occupation, practiced circumcision. Furthermore, he either does not know of the story of Bishop John or intentionally ignores it. The truth of the matter, but not all of it, is what the French author Jacques Tagher has put under “What Copts took from Muslims”: “Amongst the customs that the Copts took from the Muslims early is the circumcision of children, which had been banned by Christianity and wasn’t practiced in Egypt prior to the Arab invasion”. But, if the Copts did not practice circumcision in the ninth century, at least until 866 AD when John II wrote the Biography of Joseph I, for over two centuries after the subjugation of Egypt by the Arabs, when did they exactly start performing it? When did it spread widely and become accepted tradition? What social and political changes within Egypt and Coptic society influenced its introduction, first as an optional custom and later as a compulsory matter? Was there any resistance to its introduction? What social and theological debate went on? How can we characterise the adoption of a foreign tradition that ran contrary to our Christian teachings? And what about female circumcision? In a few words, why introduce (or reintroduce if you really believe it existed prior to the Christianisation of Egypt) a practice that had become defunct for good for many centuries? In Part I, we discussed how circumcision was not known to the Copts until at least the ninth century. In this part, we shall discuss how and why circumcision of boys came to be introduced into Coptic society towards the end of the eleventh century, and how the Coptic Church reacted to it. But, if the Copts did not practice circumcision in the ninth century, when did they start that? We don’t know when exactly. However, there is circumstantial evidence that the Copts began emulating the example of the Muslims sometime in the second half of the Fatimid Period (1074 – 1171), and that circumcision became common during the Ayyubid Period (1171 – 1250 AD), and thereafter. This is the period of the language shift of the Copts from Coptic to Arabic in Lower Egypt, particularly in and around al-Qa’hira (Cairo) and Misr (Old Cairo) environs, the two most important centres of Muslim administration. This is also the period in which, following, and in consequence of, the Arabisation of the Copts, Islamic assimilation or culturalisation of the Copts started – a process by which Copts, as individuals or collectively, consciously or subconsciously, abandoned their traditions, customs, behaviours, etc. ; or in one word their culture – and acquired parts of Islamic culture to which influence they had been exposed. We can say that the twelfth and thirteenth are the centuries that witnessed the birth of these two interdependent processes. Not only did the Copts start assimilating the Muslim tradition of circumcision but also other bad social habits such as veiling and seclusion of women, banning the bridegroom from seeing the bride before marriage, first cousin marriages, and concubinage and divorce. It was inevitable as the Apocalypse of Samuel of Kalamoun had warned us: the lingual barriers first broke down when influential Coptic clerks in al-Qa’hira and Misr showed more interest in teaching their children Arabic rather than Coptic in order to advance their vocational careers. This resulted in Copts speaking, writing and reading Arabic while knowing little Coptic, which meant that they neglected the study of Coptic literature, and became ignorant of their intellectual heritage that underpinned their unique identity. When Copts, so alienated from their own culture, began to be exposed to the cultural influence of the dominant religion of the state and its social norms, it was just a matter of time when Arabic and Islamic culture displaced some of the known Coptic traditions, and replaced them with foreign practices. The introduction of circumcision into our nation must be seen as just one of the so many manifestations of this phenomenon. Islam evidently advocated circumcision (khi’tan), and that was on the authority of Muhammad himself, as his deeds and sayings (hadith) that have been relayed to us in Islamic literature tell us. Muslim scholars, whether Shiite or Sunni, codified the practice of circumcision, whether that of males or females, in their writings, and regarded it as part of Sharia. Some Muslim authorities even advocated executing a man who delayed in circumcising himself, or even waging war on the inhabitants of a country if they reached a unanimous decision to abandon circumcision. So uncircumcision (ghalaf) became social stigma in Muslim societies and the uncircumcised (aghlaf, m.; ghal’fa, f.) social outcasts since circumcision was regarded as one sign by which al-Mu’minun (the Faithful) and al-Kuffar (the infidels) could be distinguished. The words aghlaf and ghal’fa (or the sons of ghal’fa) have often been used in Muslim societies as swearing words. Islamic circumcision, unlike in Jewish practice (which we shall see shortly), is usually performed at a later age, often at five or six years, or even beyond that. The Fatimids, who invaded Egypt in 969 AD, were known to be staunch supporters of circumcision, and performed it en masse with much celebration, festivities and spending of money. The fourth Fatimid caliph, Al-Muizz Lideenillah (932 – 975), who became Egypt’s first Fatimid caliph, is said to have circumcised three of his children in 962 AD, and ordered all his subjects to do so. He spent huge amounts of money on that, with each circumcised child receiving 150-200 dirham and a new attire. The ceremony was done in public, continued daily for a month, and each day, we are told, 5,000-10,000 children were circumcised. In Al-Mansuriya, the Fatimid seat of government then, alone 250,000 went under the knife. In Sicily half a million dinars were spent on circumcision of children during that month. There is no doubt that the Fatimids raised the celebration of circumcision to a high level hitherto unknown, and made it a public social event – and Egypt seems to have taken that from them and kept it throughout the following centuries. Edward William Lane, who visited Egypt in the 1820s and 1830s, tells us in his An Account of the Manners and Customs of the Modern Egyptians about the lavish ceremonies and festivities attendant upon the circumcision of boys, whether children of common Egyptians, grandees or pashas. The Pauline verse which Bishop John had quoted to the Abyssinians in the 9th century as he tried to convince them not to insist upon his circumcision, “If any man is called without circumcision, let him not be circumcised,” seems to have been the foundation on which the Coptic Church based its position when circumcision was introduced later on into Coptic society: circumcision does not have any religious significance, and no man should practice the removal of his foreskin if he had been “called in” uncircumcised, that is if he had already received the grace of baptism. However, as boys were traditionally baptised at the age of forty days, it seems that a window of opportunity in the first forty days of life – when children were not yet technically ‘Christian’ – existed for those who wished to circumcise their children. That would not have been regarded as injurious to the Faith. So as the newly acquired custom of circumcision was being introduced to Coptic societies by influential lay Copts, the Church felt the need to address and regulate it. For this a few ecclesiastical canons were issued and reaffirmed. The fact that almost all Coptic Church canons in the 12th and 13th century covered this topic, while earlier canons didn’t, is just another prove that circumcision was not original in Coptia, and that it was a new introduction in the Middle Ages. The earlier canons of the Coptic Church, which had often been enacted to address new problems as they emerged, never spoke about circumcision. These include the canons of Peter I (300 – 311 AD), Cyril I (412 – 444 AD), Timothy II (458 – 480 AD) and Athanasius II (488 – 494 AD). Even the first known canonical system of the Middle Ages, that of Patriarch Christodoulos (1047 – 1077 AD), which was produced in 1048 AD, containing 33 canons, had no mention of circumcision, even as its first canon dealt with a baptismal matter. It is likely that the Copts did not yet know circumcision, or it represented a negligible social problem to require regulation by Christodoulos. The three subsequent collections of canons that followed those of Christodoulos’, however, discussed circumcision – witness to the appearance of the practice of circumcision in Coptic society by then, and the need to regulate it in order to make it consistent with Christian faith. The first of these canonical systems is that of Patriarch Cyril II (1078 – 1092 AD), which is known to have been produced in 1086 AD. Its 19th canon states: “The Faithful who would like to circumcise their boys ought to circumcise them before baptism. No one should circumcise his son after baptism. Whoever breached this should be interdicted, and not have share with us.” One reads from this that the Copts, who adopted the tradition from the Muslims, circumcised their sons at the same age as Muslims did, that is when they were five years old or later, and that they most probably threw lavish parties and followed the same ceremonies and festivities. It is clear that Cyril II was addressing those few Copts who wished to circumcise their sons – he allowed them to circumcise their boys for as long as it was performed before baptism. Cyril II was succeeded by Michael IV (1092 – 1102 AD) and then Macarius II (1102 – 1131 AD). No canons are known to have been issued by either; however, we are told by the 13th century Coptic theologian and historian Abu Shakir ibn Butrus al-Rahib, in his Kitab al-Tawarikh, that Macarius II “ended many customs, amongst which Nazarenes’ boys used to be baptised before circumcision, and he made baptism follow circumcision.” We may conclude from this that Cyril II, despite his threat of interdiction and excommunication to Copts who insisted on circumcising their boys after baptism, failed to put a complete halt to the practice of delayed circumcision. One tends to think that those Copts who adopted the practice of Muslim circumcision did that mainly for the attractiveness of the ceremonies and festivities that accompanied it, and which gave them the opportunity to invite and mix with influential Muslims, thereby strengthening their social ties with the powers that be. It is very unlikely that lavish parties were thrown when the baptised were only little babies. The social aspect, and benefits, of circumcision ceremonies, which most probably triggered the original primary drive for Copts to adopt Muslim circumcision in its various aspects, seems to have been behind the failure of earlier efforts by the patriarchs to regulate the new custom. The patriarch who followed Macarius II was Patriarch Gabriel II (1131 – 1145 AD), and he is known to have produced several canonical collections. The 20th canon of what is known as his ‘32-canon collection’ was enacted, together with the rest, within a few years of the start of his patriarchate; and it did confirm the injunction of Cyril II: “No one should be circumcised after holy baptism. He who wants circumcision should do it before (baptism).” There were no threats now of interdiction, presumably because Copts by this time became more obedient, and abandoned late circumcision of their sons – a matter which could be considered as a success story for the Coptic Church. But Gabriel II is interesting in many ways, not least because we know he had authored a Nomocanon that included various elements of ecclesiastical and imperial Byzantine law sometime before his patriarchate, when he was yet a deacon at the church of St. Mercurius, in Misr, and known as Abu al-Ala’a ibn Turaik. In the Nomocanon he dedicated Chapter 40 for the collective problems of castration, penile amputation and circumcision. Gabriel II grouped them together because he considered them all to be undesirable mutilation of the body, God’s perfect creation. This thinking of the perfection of human body as the handmade of God had been the foundation of traditional Christian teaching on matters related to mutilation of the body – God’s creation should not be tampered with. The three practices were, therefore, all banned by earlier ecclesiastical law, putting those who performed any of them under sanctions. This theological anti-circumcision position of Gabriel II reminds us of Origen’s earlier statement that Christ’s disciples “were forbidden to circumcise themselves.” In defence of that position, Gabriel II quoted a canon from the First Council of Nicaea, 1 Corinthians 7:18-20, Galatians 5:2-4, Philippians 3:2, and the 20th canon of Epiphanius (bishop of Constantinople). It may bring the reader to better understanding of the repugnance with which Gabriel II must had seen circumcision at that stage if we literally translate into English Philippians 3:2 which he quoted and gave in Arabic: “Beware of the dogs. Beware of the people of circumcision”. This is a bit different from what one finds in most translations of the New Testament; and it helps to bring to the attention of the reader the strength of feeling with which circumcision was seen at earlier stages. Clearly Gabriel II took a theological stance against circumcision before his election to the patriarchate. There is no reason to suggest that he changed that position after his election; however, faced with a new social phenomenon, he did not work to uproot it but rather merely tried to regulate it as his predecessors had done before. Here we have evidently moved from a strict, theological anti-circumcision position to a laissez-faire attitude for as long as circumcision did not postdate baptism. So, as one studies the history of Coptia during this period one may conclude that the subject of circumcision was introduced into our nation by some influential clerks who worked in the Muslim administration in al-Qa’hira and Misr sometime in the late eleventh century; and that they did that most probably to promote their own career through making themselves socially acceptable by Muslims for as much as possible. Circumcision was not widespread across Coptic communities and social strata. Where it was undertaken it was performed only on boys, with no evidence whatsoever that girls’ circumcision was practised by Copts at that early stage. The Coptic Church in the past took a fundamental Pauline attitude against circumcision; however, as it crept into society in the second-half of the Fatimid Period, the Church took a theological stance against it when it was performed after baptism, but assumed a more relaxed, and practical, position about it when it was done before baptism. Circumcision of boys during the first forty days of life was regarded as permissible but remained optional. The regulatory position of the Church, so cleverly devised, was in essence a compromise that allowed influential Copts to adopt a foreign custom previously banned by the Church – and the compromise was seen as consistent with the Pauline theology. What we see here is a regulation of a foreign Muslim tradition with the only objective of putting it in line with the Faith. Circumcision was not discussed as a health or moral issue, and the effects of adopting an Islamic custom on the national character of the Copts, and its potential assistance in the gradual Islamic culturalisation of the Copts, was not contemplated. Despite the theological challenge circumcision had posed, all parties in Coptia were very much relaxed about it, most probably because it did not represent yet a huge social phenomenon. It is clear that circumcision at that time did not represent a bone of contention within Coptia upon which Copts bitterly divided. Not in the next stage, however, as we shall see. In Part I we saw that the Copts most probably did not know circumcision until at least after the ninth century; and in Part II we saw that circumcision was adopted by some Coptic employees in the Fatimid administration in order ‘to normalise’ themselves and promote their careers, and that the Coptic Church felt obliged to regulate the foreign custom by restricting its practice to before baptism. The first half of the twelfth century was a period in which all parties in Coptia were very much relaxed about circumcision, most probably because it did not represent yet a huge social phenomenon. It is clear that circumcision at that time did not represent a bone of contention within Coptia upon which Copts bitterly divided. During this period any identification of the Copts with either the Melkites, who were followers of the Byzantine Church in Constantinople, or the Franks, did not seem to be politically prudent. Many Copts were conscious of that. Consequently, they dissociated themselves further from the Melkites, particularly in their social customs such as the way they grew their hair and in circumcision: Melkites allowed their hair to grow long and did not practice circumcision. So, in differentiating themselves from their fellow-Christians, they increasingly identified with their Muslim rulers. This was a process of Islamic culturalisation, which was not limited only to outward appearances, such as hair style and circumcision, but included marital and religious traditions as well, as we shall see. But this did not please all Copts. Circumcision in the years that followed the patriarchate of Gabriel II (d. 1145 AD) became a hot debate issue, and created opposition and strong feelings as much as it gained supporters from both laity and clergy. In a way, it can be said that the circumcision controversy, which got entangled with other issues (some social while others theological), seriously divided the Church and the nation, and weakened both. These were the years of Patriarchs Mark III (1166 – 1189 AD), John VI (1189 – 1216 AD), and Cyril III (1235 – 1243 AD). These were also the times of Abu Yasir ibn al-Kustal, Mark ibn al-Kanbar, and Metropolitan Mikha’il of Damietta; three Copts who felt strongly about circumcision, one way or the other. The change in Coptic culture, by following foreign Muslim customs, horrified many within Coptia, and so they tried to reverse the process. The priest of the church of al-Martuti, Abu Yasir ibn al-Kustal, for instance, discarded circumcision and baptised infants without it, and gave permission for bridegrooms to see their brides before marriage. Another Copt, Mark ibn al-Kanbar (d. 1208 AD), was also a strong opponent of circumcision. Ibn al-Kanbar was blind, but his visual disability did not affect the sharpness of his mind or charisma; or, indeed, his ability to influence the thousands of his followers. Ibn Kanbar was ordained priest at Damsis in the Nile delta, possibly around 1160 AD, during the patriarchate of John V (1147 – 1166 AD). About his learning and his ability to explain the holy books, which he translated from Coptic to Arabic for the benefit of his congregation, there is no dispute; and even his enemies testified to his erudition. As we read his biography, one comes to the conclusion that he made it his mission to resist later innovations that had crept, as by stealth, into the Coptic Church and society, of which many social customs were borrowings from Muslim culture that ran against the grain of older traditions of the Church. For the first fifteen years of his ordainment, he stopped the practice of confession over the censer and reintroduced auricular confession and penance; forbade circumcision; allowed his followers to grow their hair; and banned the practice of burning sandarach in the churches, allowing only frankincense. About circumcision it was his opinion that circumcision wasn’t Christian: “circumcision belongs to the Jews and Hanifs [Muslims], and … it is not lawful for Christians to resemble the Jews or the Hanifs in any of their traditions which are in force among them in our time.” Abul Makarim, the author of Churches and Monasteries of Egypt, tells us: “For this doctrine he [ibn Kanbar] set up many proofs;” but unfortunately none of his books seem to have survived so that we can judge for ourselves. HowHowHHever, in a letter written by Mikha’il, Metropolitan of Damietta, to Abul Makarim we learn that ibn Kanbar commanded his followers “to give up the practice of circumcision, because God created Adam perfect and free from defects; saying, ‘As God created the form of Adam and perfected it, so it is very good,’ and that this tradition of circumcision is not accepted except by the Jews and Hanafis.” This, as we have seen earlier in the Nomocanon of Patriarch Gabriel II, is an orthodox theological position, based on the Epistles of St. Paul and the First Council of Nicaea. Ibn Kanbar’s opposition to what he thought was not original in the Coptic Church, and which he could prove from using literature written in Coptic language, brought him in 1174 AD to the attention of Patriarch Mark III who banished him to the monastery of St. Antony at the Eastern Desert. Eventually ibn Kanbar was excommunicated for heresy, as, we are told, he rejected the Coptic Church’s position on Christology, and joined the Chalcedonian Mekite sect. As one read the story of ibn Kanbar, one tends to think that he was pushed against his will to take that decision by the way he had been treated for his differing views. It is sad that the social programme of Coptic reformers was mixed with other issues of a more controversial nature, and so was met with much resistance. Consequently, the efforts of both ibn al-Kustal and ibn al-Kanbar to put a stop to the practice of circumcision were frustrated; and they failed to reverse the trend in the change of Coptic culture. The best that could be made of Bishop Mikha’il’s statement is that St. Mark did not want to antagonise the Egyptians when he found that the custom of circumcision was so rooted in their culture, and so he left it optional for them, particularly as, unlike with the Jews, it did not carry any theological significance. This, however, is unlikely, and, as we have shown, later evidence did not support the theory that circumcision was customary with the Copts. But Mikha’il’s opposition to ibn Kanbar, as some of his writings would suggest, such as his A Justification of the Peculiarities of the Copts, might had been driven by a passion to drive a deeper wedge between the Copts and the Melkites (and Franks), by banning Copts from emulating Melkite customs, rather than by a desire to assimilate with Muslim culture. Other matters Bishop Mikha’il listed as peculiar to the Copts, and defended, included shaving of the head, marriage of first cousins, confession to God alone, and making the sign of the cross with one finger from left to right. His motive might have been political – he was appointed bishop of Damietta, which was a front town in the conflict between the Crusaders and the Muslims; and he was probably keen to distance himself, and his flock, from any association with the current enemies of the state. For this, he drove an even deeper wedge between the Copts, on one hand, and the Byzantines and Franks, on the other hand. The schism now was not resting solely on the Christological controversy, but was being consolidated by differences in social habits. Patriarch John VI, a lay Copt from Misr (as his predecessor Mark III) before his consecration in 1189 AD, and a contemporary of Bishop Mikha’il of Damietta, was a staunch supporter of circumcision too. He took, in addition, a strong position against the lengthening of hair and, most importantly, auricular confession. This last put him in direct clash with the man who would become his successor, Patriarch Cyril III, as we shall see. John VI was a defender of tradition as he found it, and he considered circumcision as one of these traditions, even if it was, as we know, only introduced late into Coptic society. He was, therefore, not contented with simply making circumcision optional, allowing Copts to practise it for as long as it was performed on baby boys before baptism, but made it for the first time mandatory. The Coptic theologian and historian Abu Shakir ibn Butrus al-Rahib, in his Kitab al-Tawarikh that “Patriarch John VI completely eradicated confession from amongst the Copts; and emphasised (the importance of) circumcision, commanding that it must be performed; and he insisted on it.” Although it is not clear from the text, it could be understood that John VI made it an excommunicable offense on any Copt not to circumcise. It could be said that with John VI circumcision became obligatory on all Copts, and was treated as a sacred, old tradition sanctioned by St. Mark the Evangelist himself no less. This is a new development – the borrowed Muslim circumcision social custom was now institutionalised by the Coptic Church, and made to be seen as authentic, or long standing Coptic tradition, at least predating the Arab Conquest of Egypt in 640 AD. We have moved a long way from the Coptic position on circumcision in the days of Bishop John in the ninth century, when circumcision was virtually unknown in Coptic society, and those of Patriarch Gabriel II in the first half of the twelfth century, when circumcision was a new social novelty, and treated by the Church as a social option left for individual Copts to decide on, and for as long as it was practiced before baptism. In Part IV we shall see how circumcision became an issue of contention mingled with other serious issues which plagued the Coptic Church and society, and what the final position on circumcision which Coptia adopted was. By Jacobites is meant the anti-Chalcedonian Christians, those who rejected the Council of Chalcedon, in 451 AD, mainly Copts and Syrians. They were called Jacobites after the bishop of Edessa, Jacob Baradaeus (543 – 578 AD), who had an important role in consecrating bishops in the Coptic Church during its persecution by the Byzantines. The other two practices he mentioned were the auricular confession and tattooing. Christian Cannuyer, Coptic Egypt, the Christians of the Nile (New York, Harry N. Abrams, 2001); pp. 130-131. Coptic Egypt, the Christians of the Nile; p. 130. The term Coptia is used to indicate the Coptic nation. Otto F. A. Meinardus, Christian Egypt, Faith and Life (Cairo; American University Press; 1970); pp. 329-332. Meinardus compiles the evidence by Johann Michael Wansleben (1664), Antoine Gonsale (1665-1668), Richard Pococke (1736-1741), Carsten Niebuhr (1762), James Bruce (1768-1773), C. S. Sonnini de Manoncour (1777-1780), W. G. Browne (1792-1798), and John Lewis Burckhardt (1813-1814). The focus in his pages was on female circumcision. For Josephus Abudacnus (also called Josephus Barbatus) read: Alastair Hamilton, An Egyptian traveller in the republic of letters: Josephus Barbatus or Abudacnus the Copt. Journal of the Warburg and Courtauld Institute, Volume 57, 1994. The book appeared in Latin, after Abudacnus’ death, for the first time in 1675 AD, under the full title Historia Jacobitarum Seu Coptorum in Aegypto, Libya, Nubia, Aethiopia Tota, & Cypri Insulae Parte Habitantium. It was translated into English by E. Sadier in two editions, 1692 and 1693 AD, under the title: The History of the Copts commonly called Jacobites under the Dominion of the Turk and Abyssinian Emperors with some geographical Notes or Descriptions of the several Places in which they live in those Dominions. I use the 2nd ed. (London; R. Baldwin; 1693). The History of the Copts commonly called Jacobites; p. 16. John II wrote in 866 AD the biographies of the 47th to the 55th Coptic patriarchs (from Mina I [767 – 774 AD] to Shenute I [858 – 880 AD]). See: Coptic Encyclopedia; Vol. 4; 1991; History of the Patriarchs of Alexandria. Severus of Al’Ashmunein (Hermopolis), History of the Patriarchs of the Coptic Church of Alexandria (1910) Part 4: Mennas I – Joseph (849 AD). Patrologia Orientalis 10; pp. 508-509. History of the Patriarchs of the Coptic Church of Alexandria; pat 4; p. 511. For congenital and acquired circumcision, see: James T; A causerie on circumcision, congenital and acquired. S Afr Med J. 1971 Feb 6;45(6):151-4. Christian Egypt, Faith and Life; pp. 318-341. The Legacy of Egypt; 2nd ed. ; edited by J. R. Harris (Oxford; The Clarendon Press; 1988); p. 127. Jacques Tagher, Coptes & musulmans (Le Caire, 1952). I used the Arabic version which was published by the Coptic Associations in English translation is mine. The Fatimid Period in Egypt started strong in 969 AD but at the beginning of the reign of the fifth caliph, al-Mustansir billah (1036 – 1094 AD), internal wars, economic crises and epidemics weakened the state. It was the Armenian soldier, Badr al-Jamali, invited by al-Mustansir in 1073 AD to be his vizier, who saved it from total collapse, and by his dynamic energy reduced rebellions and restored its economy. He was followed by five more Armenians, who together with al-Jamali, ruled the state for a total of 58 years, in what is called the “Armenian period”. The rule of the Armenians, which coincided with the beginning of the second Fatimid Period, was favourable to the Copts. The dating of the beginning of this particular language shift from Coptic to Arabic has been a subject of wide speculations, and has often been misled by putting undue emphasis on writings of the Muslim historian al-Maqrizi (1364 – 1442 AD) and the Coptic theologian Severus ibn al-Muqaffaʿ or Severus of El Ashmunein (d. 987 AD). There is no doubt that while Arabisation started in Upper Egypt, particularly in the environ of Misr, early, most of Upper Egypt remained speaking Coptic until late. Misr (or Misr al-Fus’tat) was the ancient town that remained for a long time the main Muslim seat of administration before the Fatimids founded al-Qa’hira in 969 AD and the arrival of the Fatimid caliph al-Mu‘izz li Dīn Allāh in 973 AD in it. Today, the Cairo capital of Egypt spread across large area to include both Misr and the ancient al-Qa’hira. What is called now Coptic (or Old) Cairo represents roughly the area of ancient Misr. Al-Qa’hira is the area somewhat north of it around al-Azhar mosque. Arabisation, in the Coptic context, is the process and phenomenon by which Egyptians/Copts stopped talking in their own Egyptian/Coptic language, and adopted Arabic as their main daily language. It is thus a process of language shift from Coptic to Arabic. Even as early as 695 AD some Copts started emulating the Muslims in divorcing their wives and pressurizing the Church, by use of the Muslim authorities’ arm, to allow them to remarry again. There is no evidence, however, that these cases were many. We read in the Biography of the 42nd Coptic patriarch, Simon I (689 – 701 AD): “There were at that time men who were like the Gentiles, and abstained from their lawful wives, and took unlawful mistresses, showing their subjection to their passions; and yet they said that they were Christians. But the bishops rejected them, and repulsed them from the Holy Mysteries. So some of them went to the Amir and said to him: ‘We are forbidden to marry, and they have cast us out so that we are forced to commit fornication’.” Severus of Al’Ashmunein (Hermopolis), History of the Patriarchs of the Coptic church of Alexandria, Part 3: Agathon – Michael I (766 AD). Arabic text edited, translated, and annotated by B. Evetts. Patrologia Orientalis, Tome V (Paris; 1910); p. 43. The Apocalypse of Samuel of Kalamoun (or Qalamun/Qalamoun) is attributed to the 7thcentury Coptic saint, who witnessed the persecution of Cyrus, the Chalcedonian bishop and governor, just before the Arab occupation of Egypt in 640 AD, which he also lived through its first years. There may be an authentic core in it that dates back to St. Samuel, but there is no doubt that the bulk of it is of later composition sometime in the Middle Ages. I tend to think it was a 13th century composition, but there are differences on its date by different Coptologists. Anyway, the Apocalypse denounces the two interdependent processes of Arabisation and Islamic culturalisation which the Copts went through, and holds them responsible for the negligence of our Christian duties, the abandoning by Christ of our nation, and the continuation of the Arab and Muslim oppression. The Apocalypse of Samuel was translated into French by J. Ziadeh (Revue de l’Orient chrétien; Vol. 20; 1915-1917); pp. 374-407. The fact that circumcision of both males and females was based on Mohammad’s sunna is not in dispute. The reader can consult the books of Sahih al-Bukhari and Sahih Muslim. It is acknowledged that there is no mention of circumcision in Koran, and that the emphasis on female circumcision rests on performing the less severe form of it. For more on this matter, read: Sami A. Aldeeb Abu –Sahlieh, Muslims’ Genitalia in the Hands of the Clergy, Religious Arguments about Male and Female Circumcision (August 1998); pp. 22-24. Sami A. Aldeeb Abu –Sahlieh, Muslims’ Genitalia in the Hands of the Clergy, Religious Arguments about Male and Female Circumcision; pp. 10-11. Edward William Lane, in his An Account of the Manners and Customs of the Modern Egyptians; Vol. 1 (London; John Murray; 1871); p. 71, writes about circumcision within the Muslims of Egypt: “At the age of about five or six years, or sometimes later, the boy is circumcised” Then in a footnote (1; p. 71), he adds: “Among the peasants, not infrequently at the age of twelve, thirteen, or fourteen years.” Although Lane wrote his book in the first half of the 19th century, it is thought that the age at which Muslims circumcised their boys had not really changed from the earlier centuries. For this, read: Hassan Ibrahim Hassan and Taha Ahmad Sharaf, al-mu’izz lideenillah (Cairo; Maktabat al-Nahda al-Masriya; 2nd. Ed. ; 1964); pp. 273-276. Rabia‘ Awal, 351 AH. Rabia‘ Awal in that year, started 9 April 962 AD and ended 8 May. The three children we are told of were Abdullah, Nazar and U’kail. It was the seat of the Fatimid government, and is located near Kairouan, Tunis. The seat of the government moved to Egypt after its occupation in 969 AD, and the establishment of Cairo. Read the story of the dispute about circumcision in Acts 15. Anti-Nicene Christian Library: Translations of the Writings of the Fathers Down to A.D. 325. Edited by the Rev. Alexander Roberts and James Donaldson; Vol. XXIII; Origen Contra Celsum (Edinburph; T. & T. Clark; MDCCCLXXXII); p. 319. I go along with Athanasius al-Maqari in his The Canons of Pope Athanasius Patriarch of Alexandria (in Arabic) (2nd ed., Cairo, 2006), that the author of these canons wasn’t Patriarch Athanasius I , known as the Great (328–339 AD), the 20th patriarch, but his successor down the line, Athanasius II, who was the 28th patriarch. I have left out other canons that are recognised and used by the Coptic Church but were not produced by Egyptian ecclesiastics. Such works include the canons of Hippolytus, Basil the Great, Gregory of Nyssa and John Chrysostom. The 1st canon of Patriarch Christodoulos states: “No male and female should be baptised at the same time (in the same baptismal font)”. Athanasius al-Maqari, qawaneen batarikat alkaneesa alqubtiya fil u’sur alwusta (The Canons of the Patriarchs of the Coptic Church in the Middle Ages (in Arabic) (Cairo, 2010); p. 35. The English translation from Arabic is mine. See the Biography of Cyril II in History of the patriarchs of the Egyptian Church: known as the History of the Holy Church / by Sawirus ibn al-Mukaffa`, Bishop of al-Asmunin. Vol. 2 pt. 3: Christodoulus-Michael (A.D. 1046-1102) tr. & annotated by Aziz Suryal Atiya, Yassa ‘Abd al-Masih & O.H.E. Burmester (Cairo; Société d’archéologie copte; 1959). The ecclesiastic sanction of interdiction entails banning the individual from partaking of the Holy Communion. Athanasius al-Maqari, qawaneen batarikat alkaneesa alqubtiya fil u’sur alwusta; p. 60. The English translation from Arabic is mine. See tarikh abi shakir butrus ibn abi alkaram ibn almohazab, alm’arouf bibn alrahib, published by Father Louis Sheikho, the Jesuit (Berut; 1903); p. 139. Athanasius al-Maqari, qawaneen batarikat alkaneesa alqubtiya fil u’sur alwusta; pp.84-85; 219-234. Athanasius al-Maqari, qawaneen batarikat alkaneesa alqubtiya fil u’sur alwusta; p. 230. The English translation from Arabic is mine. Nomocanon, from the Greek, which means rule of the law, is a collection of ecclesiastical law that consists of both canon law (derived from different Church sources) and the Byzantine civil law. On the Nomocanon of Gabriel II, see: Athanasius al-Maqari, qawaneen batarikat alkaneesa alqubtiya fil u’sur alwusta; pp. 90-218. We know Gabriel II was born 1084 AD. He became patriarch in 1131 AD, when he was 47. He probably wrote his Nomocanon sometime in the 1120s. He worked then as clerk in the Fatimid administration, which he continued to do until his election to the patriarchate. For more on Gabriel II, read his Biography in: History of the patriarchs of the Egyptian Church: known as the History of the Holy Church / by Sawirus ibn al-Mukaffa`, Bishop of al-Asmunin. Vol. 3 pt. 1: Macarius II-John V (A.D. 1102-1167) tr. & annotated by Antoine Khater & O.H.E. Khs-Burmester (Cairo; Société d’archéologie copte; 1968). “Is any man called being circumcised? let him not become uncircumcised. Is any called in uncircumcision? let him not be circumcised. Circumcision is nothing, and uncircumcision is nothing, but the keeping of the commandments of God. Let every man abide in the same calling wherein he was called.” (1 Corinthians 7:18-20). “Behold, I Paul say unto you, that if ye be circumcised, Christ shall profit you nothing. For I testify again to every man that is circumcised, that he is a debtor to do the whole law. Christ is become of no effect unto you, whosoever of you are justified by the law; ye are fallen from grace.” (Galatians 5:2-4). “Beware of dogs, beware of evil workers, beware of the concision.” (Philippians 3:2). Epiphanius, the Ecumenical Patriarch of Constantinople (520 – 535 AD). Gabriel II quotes him: “Any lay person who circumcises himself should be banned from Holy Communion for three years; and any clergy who circumcise should be suspended.” Athanasius al-Maqari, qawaneen batarikat alkaneesa alqubtiya fil u’sur alwusta; pp.196-197. Saladin is considered in the West as a chivalrous Muslim ruler. This may be true of his later life; however, his early life and rule in Egypt show only a man dominated by Islamic fanaticism. The reader must remember that one of Saladin’s titles was “oppressor of the worshipers of the crosses” (title given him by the Fatimid Caliph, al-‘Adid on 26 March 1169 AD. For this, see: Ayman Fu’ad Sayyid: Les Fatimides en Ėgypte, Nouvelle Interpretation (Cairo, Al-Dar Al-Misriyya Al-Lubnaniyya, 2000); p. 301-2. The book is in Arabic [al-dawla alfatimiyya fi masr, tafseer jaded]). Ibid; p. 165. The Copts were returned back to the service of the Ayyubid state not as inspectors or overseers of revenues, but as scribes. For the kind of positive changes that that agreement between al-Malik al-Kamel and Frederick II in 1229 AD had brought, read: History of the Patriarchs of the Egyptian Church Known as the History of the Holy Church by Sawirus ibn al-Mukaffa, Bishop of al-Ashmunin; Vol. IV; Part I; Cyril III, Ibn Laklak (1216 – 1243 AD), translated and annotated by Antoine Khater and O. H. E. Khs-Burmester (Cairo, Imprimerie de l’Institut Francais d’Archeologie Orientale, 1974); pp. 125-6. The Chalcedonian creed which was set at the Council of Chalcedon in 451 AD. For more, go to n. xlii. Even before the end of the Fatimid Dynasty, Misr, together with Alexandria, was known to be the centre of Sunni propaganda and what is called “Sunni resistance”. History of the Patriarchs of the Egyptian Church Known as the History of the Holy Church by Sawirus ibn al-Mukaffa, Bishop of al-Ashmunin; Vol. IV; Part I; Cyril III, Ibn Laklak (1216 – 1243 AD); pp. 55-6. Ibid; pp. 58-59 (with some changes in translation by me to clarify the meaning. Unfortunately the English translation by Antoine Khater and O. H. E. Khs-Burmester is not very accurate). Islamic culturalisation (or Islamic assimilation), in the context of the Copts, is the process by which Copts, as individuals or collectively, consciously or subconsciously, abandoned their traditions, customs, behaviours, etc. – or in one word their culture – and acquired parts of Islamic culture to which influence they have been exposed. Such as marriage of first cousins and sexual segregation (like the ban on bridegrooms to see their brides before marriage). Such as what is called “confession to God alone”; that is in the absence of a spiritual guide. Yu’annis VI (Abul Majd ibn Abu-Ghalib ibn Saweris). Kirillos III. Also known by his pre-pontificate name, Dawud ibn Laqlaq. Marqus Ibn Qanbar as in The Coptic Encyclopedia. I have used the form used by Evetts inThe Churches and Monasteries of Egypt and Some Neighbouring Countries attributed to Abu Salih, the Armenian, edited and translated by B. T. Evetts (Oxford, The Clarendon Press, 1895). For the Church of Al-Martuti, see The Churches and Monasteries of Egypt and Some Neighbouring Countries; pp. 136-141. It is the same Church of the Virgin Mary in Ma’adi, south of Cairo. Ibn al-Qastal in The Coptic Encyclopedia. Unlike Ibn Kanbar, we don’t have any dates mentioned for Ibn al-Kustal in The Churches and Monasteries of Egypt and Some Neighbouring Countries, however it is clear that he was a contemporary of Ibn Kanbar. Abul-Makarim in his The Churches and Monasteries of Egypt and Some Neighbouring Countries uses the words “tanseer al-atfal min ghair khitana (baptism of children without circumcision)”(p. 59). It is important to remember that he wrote in 1207, and that his writing probably reflected the changes which Patriarch John VI later introduced, as the reader will see. It is likely that Ibn al-Kustal preached against circumcision, as non-Christian practice, as Ibn Kanbar also did. The Churches and Monasteries of Egypt and Some Neighbouring Countries; p. 140. Auricular confession was original in the Coptic Church; however, Patriarch John V is believed to have abolished it and allowed confession over the burning censer in church or at home, without the need for doing penance. Whether he actively enacted canons to change the practice or just went with the flow as the practice fell into abeyance, no one knows. Anyway, the Coptic Church of today has reintroduced auricular confession, and Christians must confess their sins at the hand of a priest before they allowed partaking of the Holy Communion. The Churches and Monasteries of Egypt and Some Neighbouring Countries says, “He also allowed the people to let their hair grow long as the Melkites do.” (Page 21-22). Later the book describes that Ibn Kanbar “commanded them [his followers] not to shave the whole of their heads, but only the crown of the head.” (Page 38). The Churches and Monasteries of Egypt and Some Neighbouring Countries; p. 22. Mark N. Swanson, however, says that some of the writings of Ibn Kanbar have recently been discovered. See: Mark N. Swanson in his The Coptic Papacy in Islamic Egypt, 641 – 1517(Cairo, The American University Press, 2010); p. 80. The Churches and Monasteries of Egypt and Some Neighbouring Countries; p. 38. The Churches and Monasteries of Egypt and Some Neighbouring Countries; p. 28. These allegations we know only from the letter of Bishop Mikha’il to Abul Malkarim which one can find in The Churches and Monasteries of Egypt and Some Neighbouring Countries. Some of these are his teaching that “the Holy Trinity is composed of three Gods, each of them absolutely perfect in word and spirit, but having one common nature; and that they resemble Adam, Eve, and Abel, who were three persons with one common nature, each of them being as perfect as the others” (page 39). Also, his teaching that “there was a feminine quality in the Godhead, and he taught that this feminine quality is proper to the Holy Spirit” (page 40). For a biography, see: Mikha’il (Entry Reference CE: 1624b-1625a) by Coquin, Rene-Georges in Coptic Encyclopedia, ed. Atiya, Aziz Suryal, Vol. 5 (Macmillan, 1991). Hagar was Sarah’s maid and Abraham’s second wife, who gave birth to his first son, Ismael (Ishmael). Her story in the Old Testament is to be found in Genesis 16, 21. 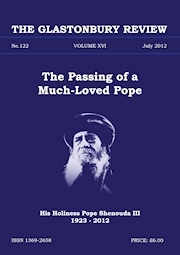 See Otto F. A. Meinardus, Christian Egypt, Faith and Life (Cairo, The American University in Cairo Press, 1970); p. 327. On the Pauline theology on the matter of circumcision, see Part I and Part II of this study. Al-Jahith, Kitāb al-hayawān (Book of Animals) (Cairo, 1939); Vol. 5, p. 27. Ibn ʿAbd al-Ḥakam, Kitāb futuḥ misr wa akbārahā (English title The History of the Conquests of Egypt, North Africa, and Spain), edited and with English preface by Charles Torrey (Yale University Press, 1922); pp. 11-12. Abu Ja’far Muhammad ibn Jarir al-Tabari, Tarikh al-Rusul wa al-Muluk (History of the Prophets and Kings), edited by Muhammad Abul-Fadl Ibrahim (Cairo, Dar al-Ma’arif, 2nd Print); Vol. 1; pp. 253-4. I have used the English translation as in René-Georges Coquin: Mikha’il in The Coptic Encyclopedia; Vol. 5 (1991). Mark N. Swanson in his The Coptic Papacy in Islamic Egypt, 641 – 1517, page 80, calls it Usages that Distinguishes the Copts. The Arabic title of Bishop Mikha’il’s book would seem to be something like The Customs by which the Copts have become Singular. The Coptic Papacy in Islamic Egypt, 641 – 1517; pp. 80-81. The Copts, followers of the Coptic Orthodox Church, rejected the Council of Chalcedon in 451 AD, and its definition of the relation of the Godhead and Manhood of Christ. The Melkites, mainly of Greek descent in Egypt, accepted Chalcedon, which was also accepted by Constantinople and Rome. The Chalcedonian definition as F. J. Foakes Jackson says in his The History of the Christian Church “was a Roman formula forced on the Oriental Church by imperial authority.” (Cambridge, J. Hall & Son; 1905; p. 468). The imperial authority was that of Marcian’s (450 – 457 AD); and the Melkites, which is a Syriac word meaning ‘followers of the king’, were the followers of the emperor’s definition. Tarikh ibn al-Rahib; tr. & ed. by Father Louis Sheikho the Jesuit (Beirut, 1903), p. 141. This was confirmed also by Bishop Yusab in his Tarikh al-Batarika (History of the Patriarchs), ed. Mikha’il Maksi Iskandar (Cairo, 2003); p. 252.